Official opening of Russian Festival Matryoshka 2003 with welcome messages from the hosts, sponsors and organizers. Performers and artists at Russian Festival Matryoshka 2003. 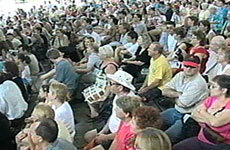 First half of Be a Star at Russian Festival Matryoshka 2003. 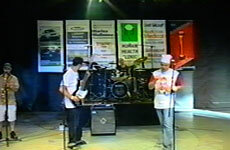 Second half of Be a Star at Russian Festival Matryoshka 2003. 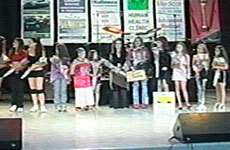 Awarding of Be a Star contestants at Russian Festival Matryoshka 2003. Introductions and cocktail party portion of Miss Russian Bikini at Russian Festival Matryoshka 2003. Fantasy portion of Miss Russian Bikini at Russian Festival Matryoshka 2003. Bikini portion of Miss Russian Bikini at Russian Festival Matryoshka 2003. 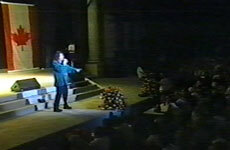 Performance by KVN "Ponti iz Toronti" at Russian Festival Matryoshka 2003. 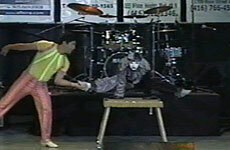 Performance by Kubzavod at Russian Festival Matryoshka 2003. Performance by Igor Korneluk at Russian Festival Matryoshka 2003. Miss Russian Bikini coronation and awarding ceremony at Russian Festival Matryoshka 2003. Final song at Russian Festival Matryoshka 2003.